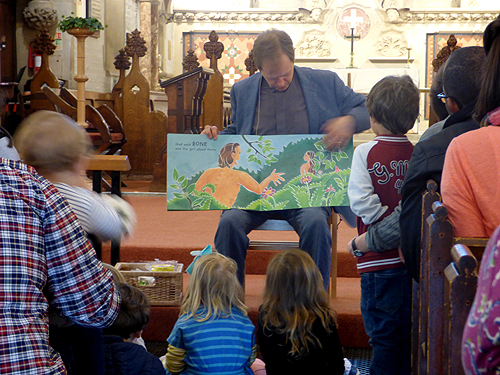 St James's church has always cared and provided for children through the years. Early on in his incumbency, Revd Fitz Wygram discovered that only thirteen children out of a local population of 1,100 went to any sort of school. Having a keen interest in children and education, he made a grant of land in Mill Lane and in 1867 two schools were built at a cost of £315. Have a look at St James's Church Schools through the years. Thanks to Betty Stewart's legacy a Children and Families’ Leader, Karen Roach, was appointed in December 2017 and based in the church office during the week. She led the Sunday School and the activities after the Together at Eleven services. Another aspect of her work was building community links in and around Hampton Hill, looking at ways St James's could support the work in surrounding schools, churches, playgroups and other charities. She left for a different job in the summer of 2018 so Dani Robertson was appointed later that year and started work in December. She continued Karen's work by starting a Youth Group for the older children in the congregation who had outgrown the Sunday School. The Church’s endeavours to 'catch them young' has always led her to foster activities for young people. Whilst Sunday Schools cater for them in their early years, other organisations are necessary to keep them interested when they grow past this stage and approach the age of confirmation. The youth organisations which existed at the end of the nineteenth century were considerably different in character from those which exist today. Have a look at Youth groups through the years. The June 1885 magazine reported about the flourishing Sunday School: “The numbers still continue to increase, and in addition to some fifty older ones who attend classes at Mrs Fitz Wygram's and at the Vicarage, there are now two hundred and ninety two upon the books.” Have a look at St James's Sunday School through the years which shows what happened from when records began up until 2017. During 2017, the Shell Seekers focused on trying to provide two groups for the children in order to provide age appropriate sessions. 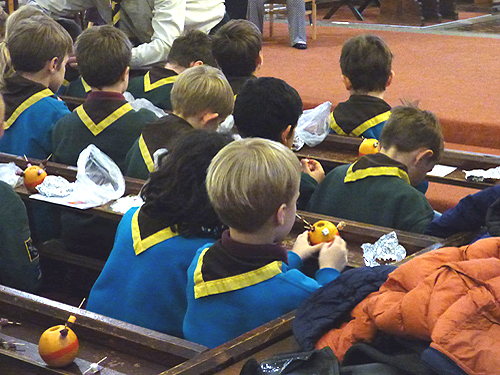 Rewarding fundraising activities included a Christmas cake and craft sale for the Upper Room and a Mothering Sunday cake sale for the Diocese of London Lent Appeal. Leaders attended some training locally in September 2017. The 2007 Action Mission Plan aimed to give children and young people every opportunity to become involved in the Christian life by making it more attractive and accessible. So a Carers and Toddlers group was set up and immediately became extremely popular. Have a look at St James's Ark through the years which shows what happened from when records began up until 2017. During 2017 - 2018 there were ten volunteers who ran the Ark, some full-time and some part-time. There have been designated children's services since the earliest days and maintaining children's interest has always been important to St James's. Have a look at Family worship through the years which shows what happened from when records began up until 2017. During the early part of 2017 several new initiatives were started for families with young children. ‘Together at Eleven', a service specially created to meet the needs of families, was launched. Everyone stayed together in church for worship, teaching and prayer. All Age services were sometimes held at 11.00 or 10.00 instead of 09.30 for specific occasions like Mothering Sunday, Harvest Festival and Christingle. In addition, all these services were designed to be more informal and accessible for children, without Holy Communion and often using the new overhead screen. 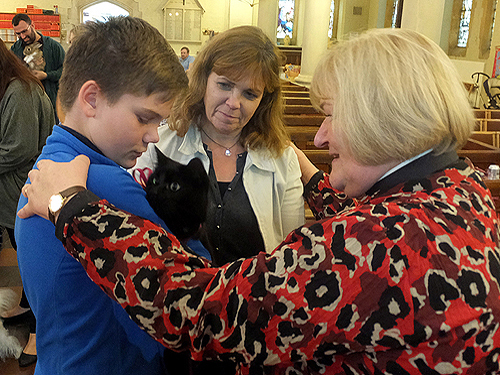 Occasional special services were held, for example a well attended Pet Service (not just for children). Over the years St James's has tried to provide a rich experience for young people. During 2017 various parties were held. These included a paddling pool tea party in the vicarage garden, a teddy bears picnic, a late summer party, a celebration of light as an alternative to Halloween and an Epiphany party. 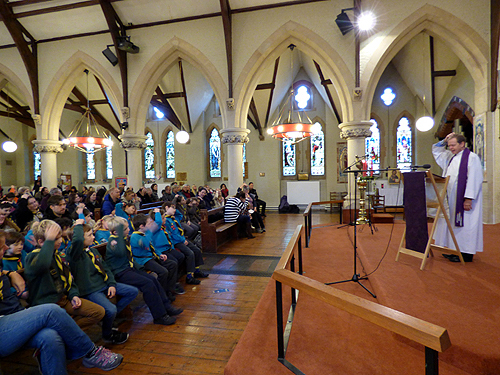 The Hampton Hill uniformed groups originally were church organisations and the children regularly attended church services and joined in with various church activities. Around 2014 things changed and the connection between them and the church became looser. The Guide group was closed but the Brownies kept going, even with small numbers. The scout troop continued to flourish. From 2016 Derek contributed to the Brownies, Beavers and Cubs' evenings. The scouts continued to help with the autumn leaf sweep and gutter clearance and join in the remembrance services around the war memorial, including carrying the flags. 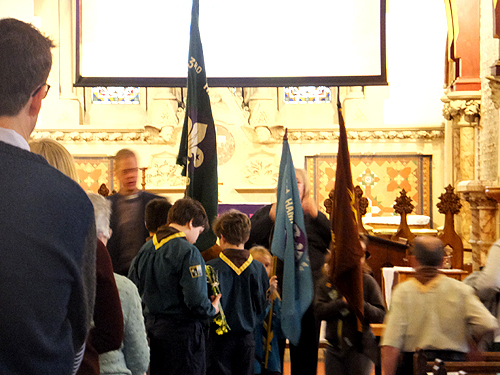 The uniformed groups continued to join the congregation in the All Age services.